We have over 7 full years of cruise parking experience for Southampton Docks. Our day-to-day work is providing professional parking solutions for cruise ship passengers, and we simplify the process (and trouble) of getting you to your ship. This year alone we are due to park over 10,000 cars and serve over 25,000 cruise passengers – yet we can still keep it personal and friendly. Please look at some of our advantages and testimonials, and we look forward to seeing you soon. Penguin Parking is situated 6.8 miles from Southampton Docks. Many of our customers find our close location ( yet just outside Southampton) very convenient, instead of fighting their way into Southampton on busy ship days. We offer an easy to use online booking system. Simply pay by debit or credit card using our secure booking form and you’ll receive a confirmation via email that gives you full directions to the car park, along with your personal booking reference number. Car Parking prices can vary both seasonally and according to demand. 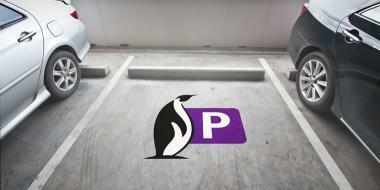 At Penguin Parking we constantly monitor the Car Parking rates of all our competitors so we can offer you the best prices available. 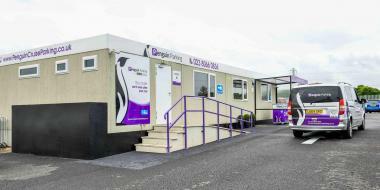 We are usually able to offer a competitive alternative - by up to 40% to the main port car parks. Great service with a competitive price equals great value. You will be transferred to the cruise terminal for free (for up to 4 people) in one of our own vehicles. The journey takes approximately 12-20 minutes dependent on which cruise terminal you are travelling to and from - subject to traffic. When you Park with us we can also offer free transfers (for up to 4 people) to and from Southampton train station, National Express coach station, or any surrounding hotel. Airport transfers are also available at competitive rates for fly cruises. We endeavour to make your cruise parking as stress free as possible. That’s why there is always someone available during working hours to deal with telephone enquiries. You can also email us and you will receive a reply within 24hrs. Most requirements for disabled passengers are covered as part of our normal standard of service - we provide a wide space for you to park when you arrive - we will handle your luggage so you don’t need to - we drop you off and pick you up right outside the terminal building so there is minimal walking involved - we have ample space to transfer wheelchairs and mobility scooters. Please note our vehicles are not wheelchair accessible. However, if you have any special requirements not mentioned above, please let us know beforehand and we shall do everything we can to accommodate your needs. Beat the port-parking queues for a convenient and hassle-free start to your important cruise holiday. Park and Ride is exactly what it says. Bring your car to us, check it in and then we transfer you and your passengers to your cruise terminal. After your cruise we collect you at the terminal and bring you back to your car. On most occasions our drivers are able to use inner port roads, not open to the public, which cuts out the waiting/transfer time for yourselves, and can also save you a great deal of money. Once you have booked your car parking you will receive from us a booking confirmation and all the travel directions you need to find us. All transfers are included in the cost of your parking. Should you be Cruising from Southampton, and flying back to Gatwick or Heathrow, you can park your car with us before you cruise (and we will transfer you to the cruise terminal/Hotel) and we can then collect you from the airport on your return and transfer you here to your parked car. If you are flying out to join your cruise ship, and returning on-board to Southampton, you can also park your car here before you fly ready for your return. We can then either take you directly to your Airport or Southampton Train or Coach station, whatever you prefer. There are many permutations for fly/cruise transfers so please call us to discuss your actual requirements and then we can quote you a price. All prices include transfers for up to 4 persons.